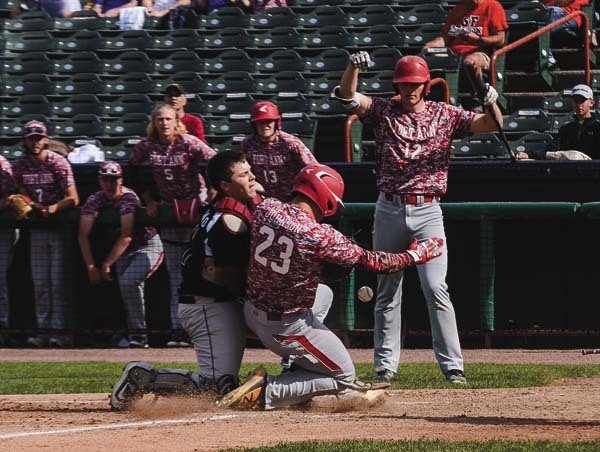 TROY — The Fort Plain Hilltoppers’ quest for a second straight Section II Class D championship came to an end Tuesday at the hands of the Fort Ann Cardinals. The second-seeded Cardinals used a strong slugging and pitching combination to defeat top-seeded Fort Plain, 7-1 to claim the Class D championship Tuesday afternoon at Joe Bruno Stadium on the campus of Hudson Valley Community College. The loss also marked the end of a five-year standout varsity career for the Hilltoppers’ Drew Fureno, the lone senior on a squad with six sophomores, six freshmen and an eighth-grader. Fort Ann got off to a fast start, putting a run on the board in the top of the second and three more in the top of the third. The Hilltoppers came up with what would be their lone run of the game in the bottom of the third when Jaxson Yacowenia led off the inning with a single, stole second and crossed the plate on Fureno’s double to deep left field. Fort Plain threatened again in the bottom of the fourth, with Bryce Thibodeau and John Cortese reaching base with a single and double respectively. However, Fort Ann catcher Jeremy Johnson came up with a pair of heads-up defensive plays, catching both players in run-downs to end the threat. The Cardinals pitching backed up their hitting as starter Garrett Bailey, who allowed one run, four hits and struck out five, gave way to Tyler Mattison for the final two innings to lock up the victory. Jon Allen led Fort Ann (16-2) with three triples, while Johnson had a pair of triples. Sawyer Lunt delivered a double and two singles, while Mattison added a pair of singles to go with three strike outs in two innings of work in relief on the mound. 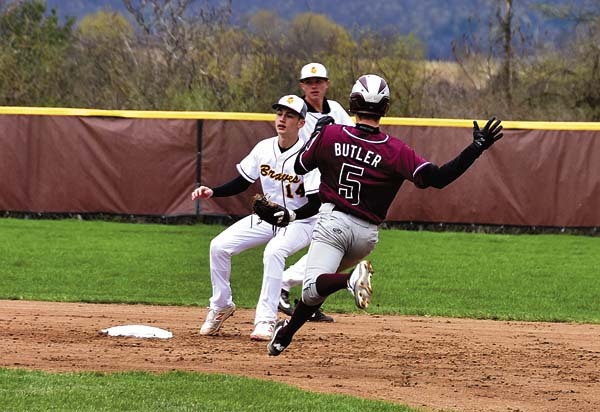 Drew Fureno and Cortese both doubled for Fort Plain, while Thibodeau, Mike D’Arcanelis and Cameron Dillenbeck all singled for the Hilltoppers as they closed out the season with a 16-3 record. Fureno, who is headed to play baseball at LeMoyne College next year, agreed. Bailey, Mattison (6) and Johnson; Thibodeau, D. Fureno (3), Gifford (7) and B. Fureno.